Every year around this time I do two things: First I look back at my predictions from a year ago and grade myself, then I get around to making a new set of predictions. These are often my most popular posts of the year, proving the old magazine saw that the world loves a list. So who am I to buck the trend? 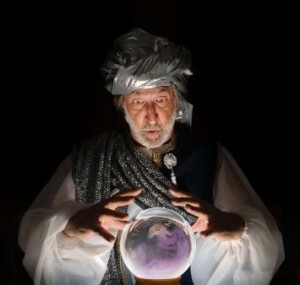 Let’s get cracking on seeing how my crystal ball turned out, shall we? I’ll be as brief as I can with this review – this marks the ninth time I’ve done it. Overall, I’ve had a pretty good run of it. I hope 2013 keeps pace. Predictions 2012: #1 – On Twitter and Media – Twitter will become a media company, and the only “free radical of scale” in our Internet ecosystem. The second part of my prediction: That Twitter is the only “free radical of scale” in the Internet ecosystem is also true. No other company boasts Twitter’s scale, importance, and independence. I think it’s arguable that Yahoo might come back from the near dead to claim a similar status, but I doubt it. More on this as I review my second prediction below. Meanwhile, I put this prediction in the “got it right” side of the ledger. Predictions 2012: #2 – Twitter As Free Radical, Swiss Bank, Arms Merchant…And Google Five Years Ago – Every major player on the Internet will have to do a deal with Twitter, and Twitter will emerge as a Swiss like, open, neutral player in the battle for the consumer web. Well…not so much. If ever I could be blamed for predicting what I personally wished would become the truth, this is it. I deeply believe that the Internet needs a distribution and application platform that is independent of business model bias (IE, Facebook has a bias toward leveraging its social graph business, Google has a Search bias, Microsoft a Windows bias, etc). I saw – and still see – Twitter as potentially that kind of a business. But the company didn’t do too much to prove my point in 2012. In fact, one could argue it went in exactly the opposite direction, though I don’t fall into the same camp as many of Twitter’s most strident detractors. Most of Twitter’s moves – cutting off developers who create Twitter interface clients, for example – are a result of the company consolidating its core business model of serving advertisers (and, arguably, end users) a consistent, reportable experience. Other big news-creating moves – like cutting off LinkedIn and Instagram – were decisions calculated based on value exchange – Twitter felt that the companies using Twitter’s resources were getting more from Twitter than the Twitter ecosystem was getting back. I don’t find such moves to be inconsistent with my prediction on their face. I think the jury is out as to whether Twitter can find a Swiss-like position in the Internet ecosystem. The big question is whether it can quantify what “value” is for a developer, so developers can build on Twitter’s platform without worrying about shifting sands. And the big guys who have rejected Twitter as a competitor – Google with Google+, and Facebook of course – will most likely have to come around to a position that at the worst views Twitter as a real force that needs to be integrated in some way with their core products. In the long run, “co-opetition” is a proven strategy in the business world. Meanwhile, I do find Twitter’s core DNA and philosophy to be far more “Googley” than any other major Internet company. The management team believes in transparency and openness as their True North, and I wager this philosophy will be both challenged and proven in 2013. Overall, I’d say this prediction was about half right. A push, neither right nor wrong. Predictions 2012 #3: The Facebook Ad Network – Facebook will launch a web-wide competitor to AdSense. Now, one could argue this did not happen in 2012. But I’m going to say it has – in 2012 Facebook made several moves that changed the web-wide business of advertising significantly. First, it tested off-site advertising with Zynga. Next, it launched a game-changing programmatic ad exchange, FBX. While this network only allows access to Facebook’s domain-specific inventory, it’s a massive injection of liquidity into the overall Internet advertising landscape, and laid the groundwork for an Adsense like play across the rest of the web. What I got wrong was that instead of starting with the HTML web, Facebook started instead in the very place it was seen as weak, on the mobile web. Regardless, this mobile network is in fact a “web-wide competitor to AdSense,” if you take the web to include mobile, which I certainly do. So I’ll score this prediction in the “got it right” camp, even if the final shoe – a PC web network – has yet to drop. It will. Predictions 2012 #4: Google’s Challenging Year – Despite doing well overall, Google will fumble one big play this year. In my essay on this topic, I predicted that Google will fumble either Google TV, Motorola, or Google+ in 2012, and then reasoned that the real story would be how the company bounced back once the fumble occurred. This prediction came true – Google blew its integration of Google+ into search earlier this year, but has slowly and surely corrected the blunder. Since then, the company has navigated any number of major issues – multiple government probes, integration of Motorola, bringing the Android beast to heel – quite admirably. I think this one goes comfortably into the “got it right” category, but I’ll admit I didn’t predict how strongly the company would rebound from its initial missteps. Predictions 2012 #5: A Big Year for M&A – 2012 may well be the biggest year of all for Internet M&A. Well, sort of. We did have the big Instagram deal, and tons of “acqui-hires”, but the year didn’t turn out as I predicted in terms of major ad-tech deals. We all thought Yahoo was going to become a buyer again, but that didn’t pan out, thanks to the CEO turnover there. On the plus side, data from Thomson Reuters does show 2012 as a very big year for exits – one of the biggest in recent history – but much of that was due to the Facebook IPO. Overall, I’d say I missed this one, even if I do look smart for calling out Instagram in my original post. Predictions 2012 #6: “The Corporation” Becomes A Central Societal Question Mark – We’ll all start to question what role the corporation plays in our society and culture. It’s very difficult to score this one, because it’s so much about cultural zeitgeist. What is the role of “the corporation” in our world, both personal and social? If nothing else, 2012 was a year where we began to ask this question in earnest. It’s the year that “the 1%” and the “99%” became cultural talking points, where we debated the role of government in moderating the profits of the few over the well being of the many, and where that debate ran all the way to last night – when the fiscal cliff was averted, in the main, by kicking this question down the road a few more months. I think I overestimated the speed with which we will take up this question in our society. When we look back with the lens of time and history, I think it’ll be clear that the role of the corporation was a central issue of the early 2000s. But to call it in one year was premature. For me, this one was a push. – Obama will win the 2012 election, thanks in part to the tech community rallying behind him due to issues like SOPA, visas, and free speech. Well, this one happened. Score one in the “got it right” column. – Both Apple and Amazon will make billion-dollar acquisitions. More interestingly, so will Facebook. Facebook checked the box with Instagram, which was really a bit below the billion dollar mark, thanks to the IPO not quite working out as expected. Apple did not take my prediction to heart, though it did buy AuthenTec for about $350 million, and speculation about its Next Big Move continue. Amazon nearly hit the billion dollar mark with its acquisition of Kiva Systems, but that deal wasn’t the one I was expecting. So, call this one a mostly miss, which to be fair, means it was a miss…. – Android will be brought to heel by Google, eliciting both massive complaints and cheers, depending on where you sit. I think this is happening. I can’t go into massive detail, but I think the latest version of Android is very good (I am now a user), and the Play store is For Real. I’d score this a “got it right.” I’m sure some of you may disagree, though. I’d like to hear why. – Microsoft Windows Phone will become the Bing of mobile (IE, move into double digit market share). Oops. I clearly should have done my homework first. IDC predicts that double digit smartphone market share will happen for Windows in 2016. Last year, the company had about 2.6%. However, that number is higher in international markets. But I can’t claim a win based on double digit penetration in Spain. So, this one is a miss. An ecosystem is developing, but this is simply not there yet. I’m not sure if it ever will. Another miss. I clearly need to stop making predictions about Microsoft. – IBM will emerge as a key player in the consumer Internet. Nope. I’m not even going to pretend this happened, though I bet I was simply too early here. I may revisit this once IBM makes a move (if it ever does!). Another miss. – China will be caught spying on US corporations, especially tech and commodity companies. Somewhat oddly, no one will (seem to) care. It’s happening, (more and more), but we haven’t yet had the spectacular news (like the Google hack last year) that gets folks all excited (so they then can ignore it). Instead, it seems we just see it as business as usual. I think this is a mild “got it right” – but upon reflection, it wasn’t so hard to predict in the first place. – A heads up display for the web will launch that actually is worth using, but most likely in limited use cases. So that’s it. In review, I made 14 predictions. By my score, I got 7 right, 5 wrong or mostly wrong, and 2 were a push. But to be fair, four of my “wrong” predictions were in the “shoot from the hip” category. I think I’ll drop that for 2013 and focus on the ones where I put in serious thought. For those six predictions, my score was better: 3 right, two pushes, and one miss (on the M&A front). Any predictions on this for 2013? They did “launch” it, but yes, it’s not there yet as a platform. Exactly what is happening to other kinds of publishers…all over the Net. Data is key. Yes, I’ll be doing something else!